Starting a new job can be intimidating – especially when you have no idea you have to work with the staff of Midwest Golfing Magazine. That was the predicament Nate Gray entered, as upon his hiring the – year-old was told he was in charge of our quarterly Pro Page. For his first installment we asked him two age-old questions– what is the foundation of your teaching platform and how do you go about communicating that to your students? Before I get into the foundation of my teaching principles, I would like to briefly share how I go about building a positive teacher-student relationship. The interview process and the conversations I have with my students during lessons help me understand the student’s goals and ideas. It is important for me to know what and how they think before getting into the technical parts of the golf swing or the swing concept in general. Learning from their thoughts gives me the information I need to understand why they are moving the way they do to produce their swing. I like to work on technique by helping the player understand how their swing works. Getting my students to understand how to move allows me to get them to better positions within their swing. It helps them get on plane in the backswing as well as the forward swing. For me, it is more important to explain body movement rather than just telling the player technical aspects that they might not know how to achieve. Trying to emulate textbook positions (usually from reading magazines or watching the pros on TV) without learning how to move dynamically is a recipe for endless frustration. From experience as a lousy dancer, I believe that learning the sequence and the flow of the swing makes it easier to refine the technique rather than the other way around. It all comes down to fundamentals, but I like to add the motion and the dynamic aspect of the golf swing as a fundamental to playing great golf. I truly believe that better players are more dynamically fundamental. You can have a perfect grip and stance but if you do not understand how to move it is hard to take advantage of your perfect grip, posture, etc. What exactly does dynamically fundamental mean? A basic way of looking at it is the shifting of weight with minimal movement of mass, using the ground as leverage, all in a balanced rhythmical manner. Learning this way allows you to move the club from the ground up rather than trying to manipulate the club through the hands and arms. A great example of this can be seen when watching Aaron Rodgers throw a football or Nolan Ryan pitching (you might need to you tube him!). Both produce power with an efficient motion allowing the arms to swing fast. They are winding and unwinding at the same time without putting unnecessary strain on their back or shoulders. The key to a better golf swing is getting the arms and club to moving freely. Some people overuse their hands and arms and some overuse their body in an effort to produce speed and accuracy. Use your motion to propel the club and you will produce an accurate, powerful action. Force your arms or body and the result will be an effort-filled deceleration. I have always believed that if I could hit the ball solidily, I could easily figure out how to get it where I want it to go. Get too technical and you can’t crack an egg. As a golf instructor I am always learning how to help my students get better. I have studied from great instructors like Dr. Jim Suttie (technical) and Bob Toski (not so technical). Their opposite approaches have helped form the way I teach. Using video analysis, years of watching golf swings, and exercise science, via a degree in kinesiology, helps me identify the root cause of your swing issues. We can then begin the process of building a powerful and simple swing. I want you to develop your “own perfect swing” so you can easily fix what may be a little off. 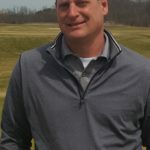 Nate Gray is the Head PGA Golf Professional at Fire Ridge Golf Club in Grafton, Wisconsin. Before Fire Ridge, Nate spent the previous seven years as a full time golf instructor. 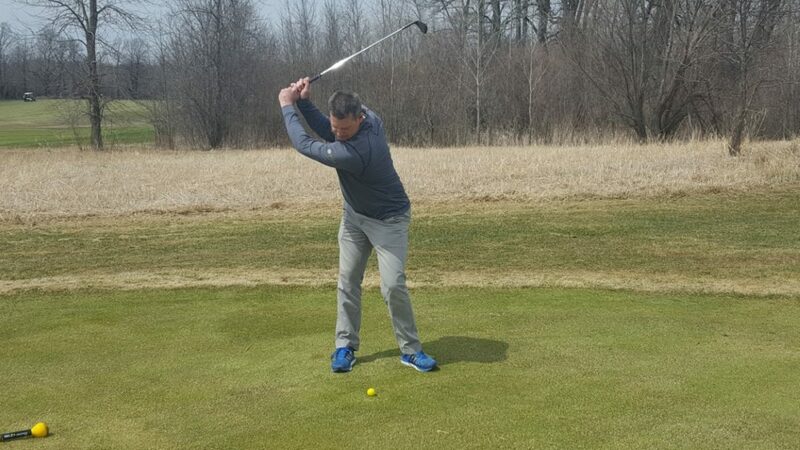 Although he loves to help his students win championships, Nate hopes to resume a fuller schedule of competitive golf in the Wisconsin PGA Section events following his second shoulder surgery in the last three years. When Nate has free time his likes to spend it with his best pal Twigs. His lesson rates start at $40 per half for juniors and $50 per half hour for adults, plus he offers numerous lesson packages to customize your experience. He can be reached via email at ngray@fireridgecc.com or by phone at (262) 375-2252.